Posted September 15, 2015 by Steven Roberts & filed under Ostrea lurida. 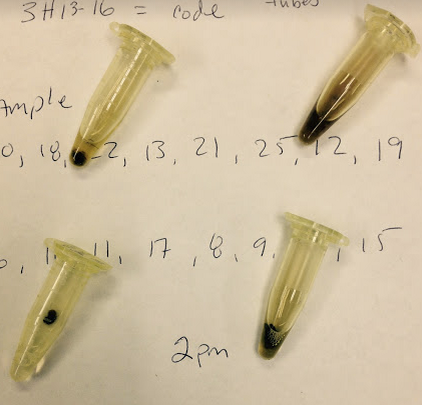 In an attempt to determine most efficient means to get some high quality DNA from the archived oyster samples – a suite of samples were started out with M1 buffer and ProK. The first ‘unit’ to go through will be the April Dabob samples. 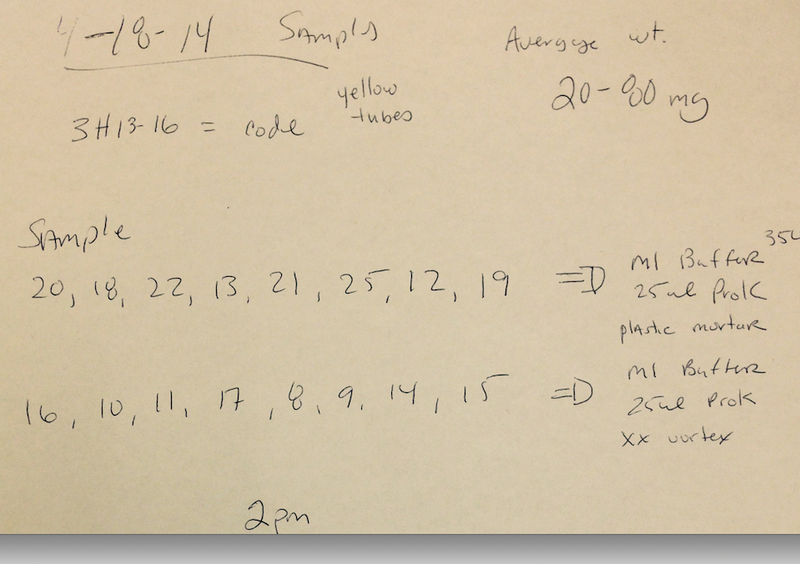 For today, I took 16 samples from the Hood canal population (code 3H13-16; yellow tubes). Samples were homogenized with plastic mortar and the other 8 did not get a mortar poke. All samples were vortexed and placed at 37C at 2pm. This was done with air incubator, non-shaking. Tomorrow, an additional set of samples will undergo a shorter Proteinase K digestion, subjected to Mollusc DNA extraction kit to try to determine best way to scale up.